I make soup at least once a week; it’s quick, easy and my family loves it. It’s especially great to keep on the stovetop when we have different family members (teenagers) rolling in at different times in the evening after their activities. I typically double or triple the batch so that we have future meals. 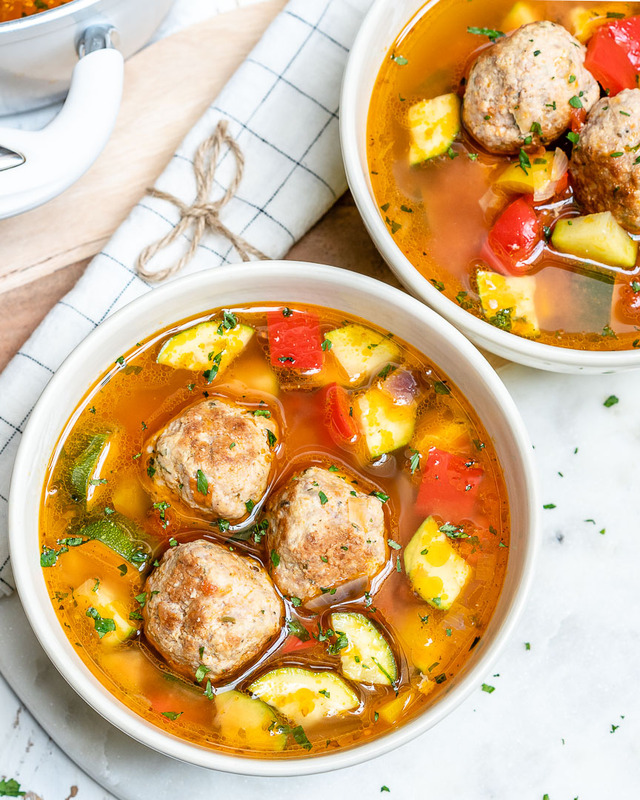 Soup is ALWAYS better the next day! We have two kids in after school drivers ED this term (yikes! FOUR teenage drivers for us now!) on top of all our usual after-school activities, prom, birthdays, sports, homework, and friends. 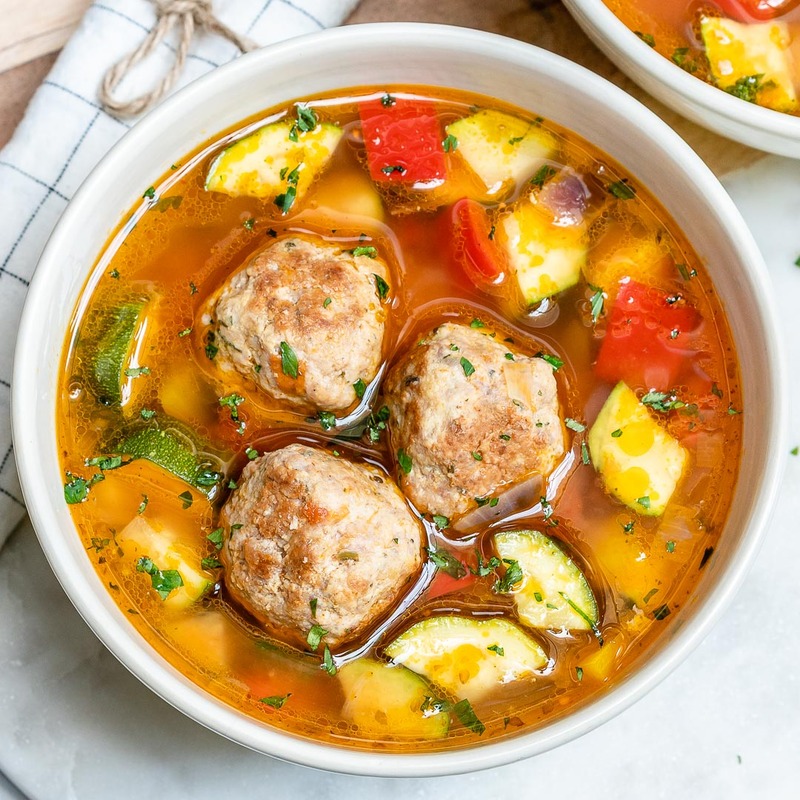 With full-time working parents + 6 kids at home, I am ALL about the FAST and easy dinner ideas during the week…after a long day, the very last thing I want to do is spend hours in the kitchen! 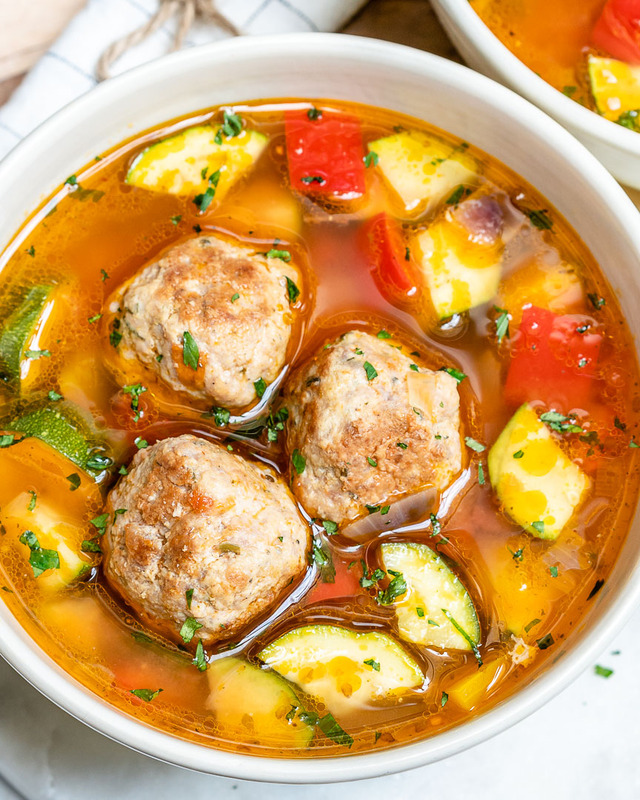 This meatball soup made with grass-fed ground beef or ground turkey is a simple one-pot meal that’s got it all: veggies, plenty of meat and bone broth for protein and LOTS of flavors. And best of all, kids adore it thanks to the meatballs! P.S. You CAN substitute the almond flour for panko bread crumbs if you like. 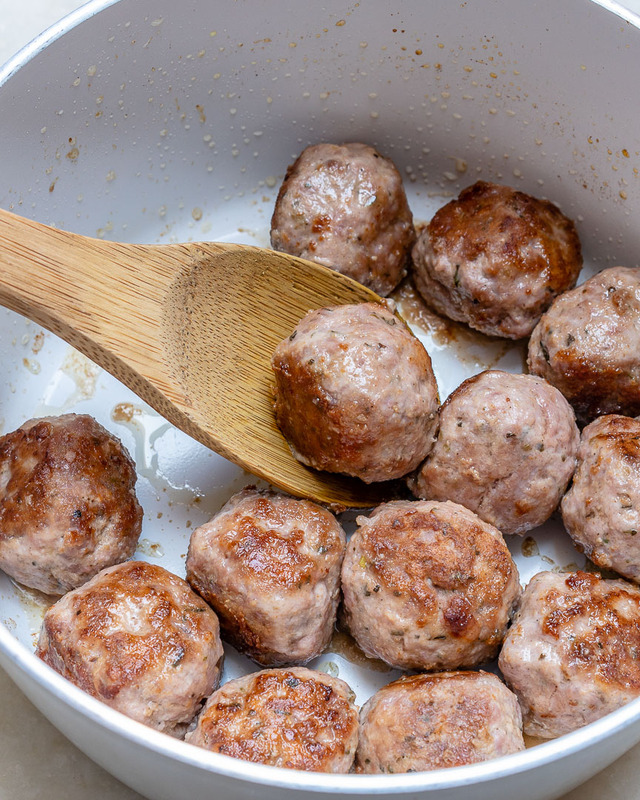 In a large bowl, add all of your meatball ingredients and mix until well combined. Get your hands in there if necessary! Take a spoonful of mixture and with your wet hands roll it between your palms to form a meatball. Repeat with remaining mixture. Sometimes I’ll use a small cookie scoop to create nice, evenly measured meatballs about 1 inch in diameter. Heat oil in a large stockpot over medium heat. Add in the meatballs and cook for 5-6 minutes, flipping on all sides to get them nicely browned. 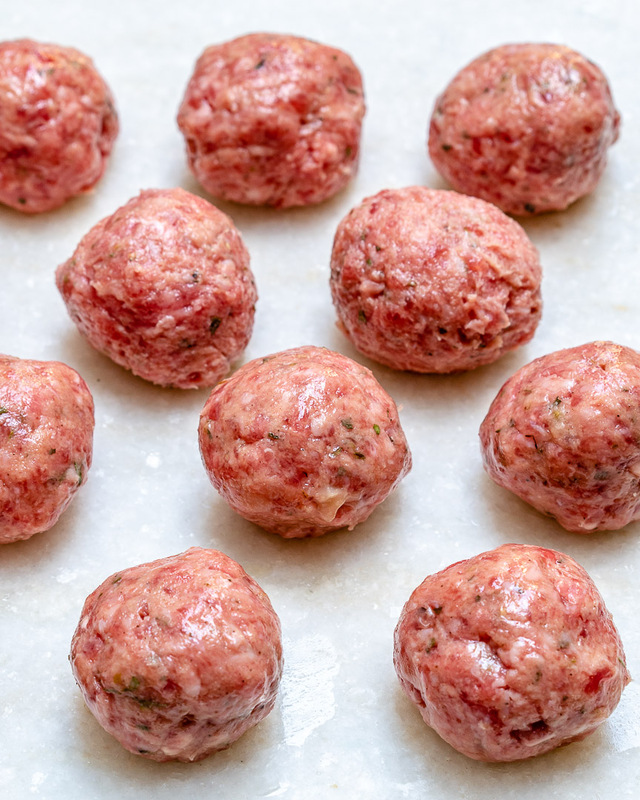 Set meatballs aside on a plate. Add diced onion, and bell peppers to that same pot and sauté just until your veggies begin to soften about 4 minutes. Return the meatballs to the pot, along with the broth and diced tomatoes. Bring everything to a steady boil, then reduce the heat and simmer for 15 -18 minutes, covered. Stir in chopped zucchini and continue to simmer for 5 minutes more. Taste test, then season with sea salt and pepper to your taste and garnish with fresh chopped parsley. Enjoy while hot! 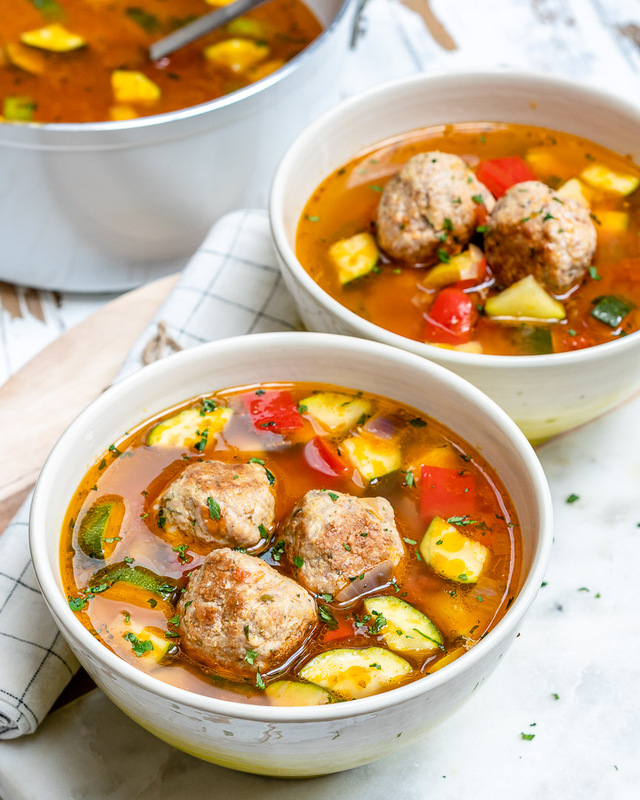 Stays great in the fridge for 4 days or so…as with most soups tastes even BETTER the next day! Consider doubling or tripling your batch so that you have meals all week! 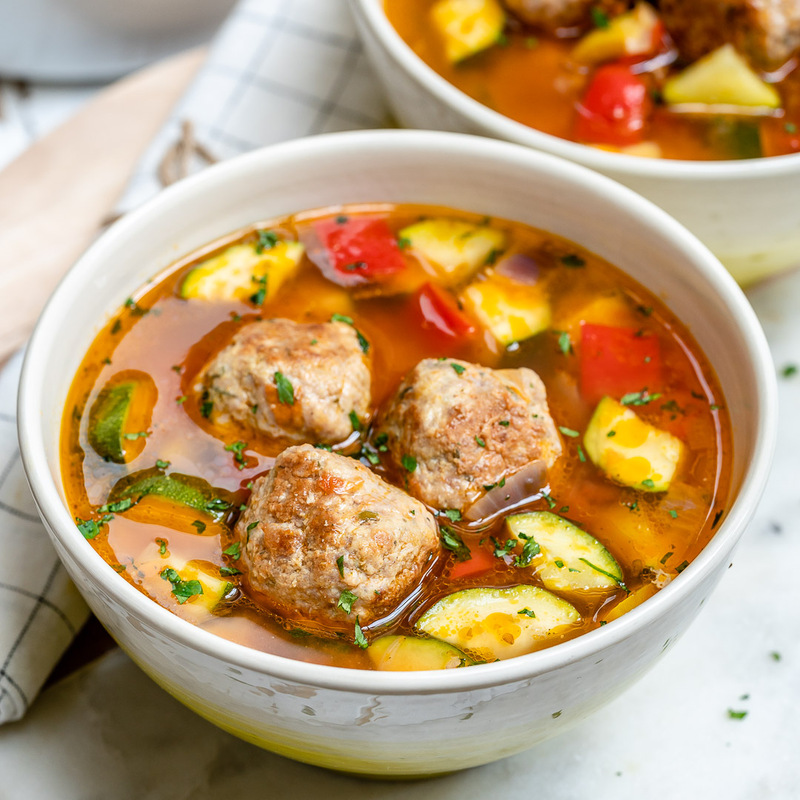 In a large bowl, add all of your meatball ingredients and mix until well combined. Get your hands in there if necessary! Take a spoonful of mixture and with your wet hands roll it between your palms to form a meatball. Repeat with remaining mixture. Sometimes I'll use a small cookie scoop to create nice, evenly measured meatballs about 1 inch in diameter. Heat oil in a large stockpot over medium heat. Add in the meatballs and cook for 5-6 minutes, flipping on all sides to get them nicely browned. Set meatballs aside on a plate. 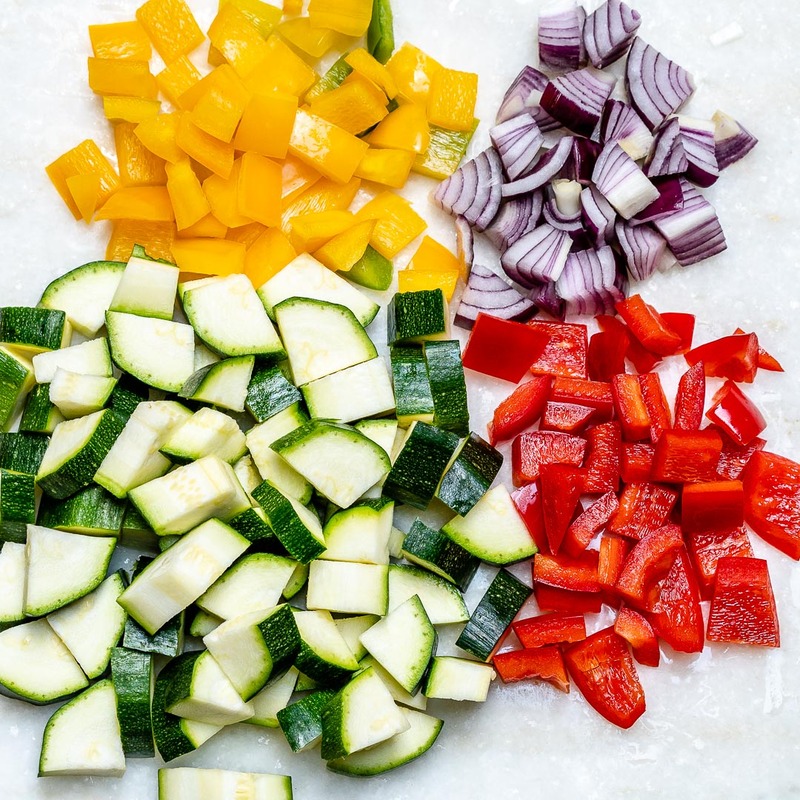 Add diced onion, and bell peppers to that same pot and sauté just until your veggies begin to soften, about 4 minutes. Taste test, then season with sea salt and pepper to your taste and garnish with fresh chopped parsley. 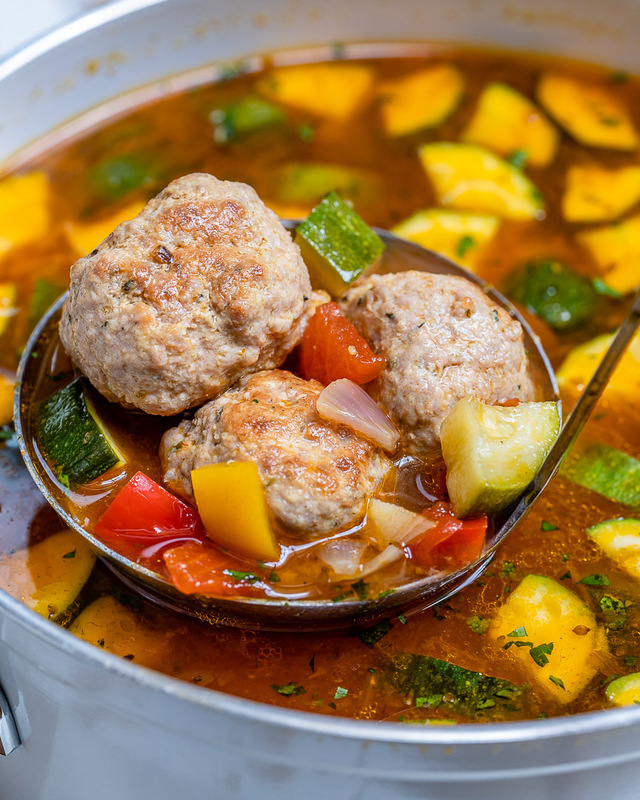 Stays great in the fridge for 4 days or so...as with most soups tastes even BETTER the next day! Consider doubling or tripling your batch so that you have meals all week!